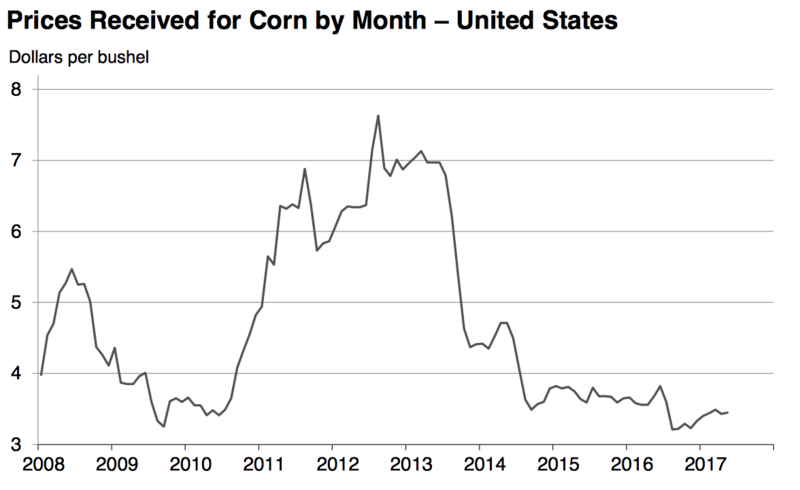 Dr. Zhang noted that, “When debunking or confirming the idea of a farm crisis replay, it is useful to closely investigate the previous farm crises of the 1920s and 1980s, and it’s equally important to investigate the golden eras before them.” (“Four Reasons Why We Aren’t Likely to See a Replay of the 1980’s Farm Crisis,” by Wendong Zhang (Agricultural Policy Review, Spring 2017)). 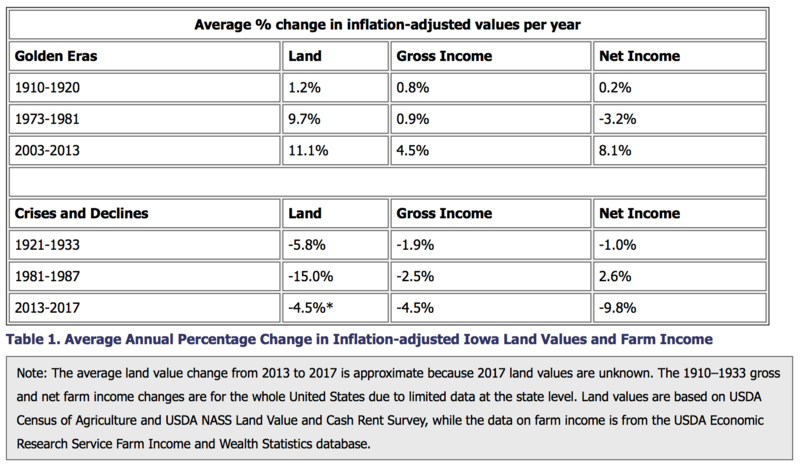 A comparison between this third golden era and the two previous reveal that farmers accumulated much more income, especially cash, during the most recent decade than during the 1910s and 1970s before those farm crises. 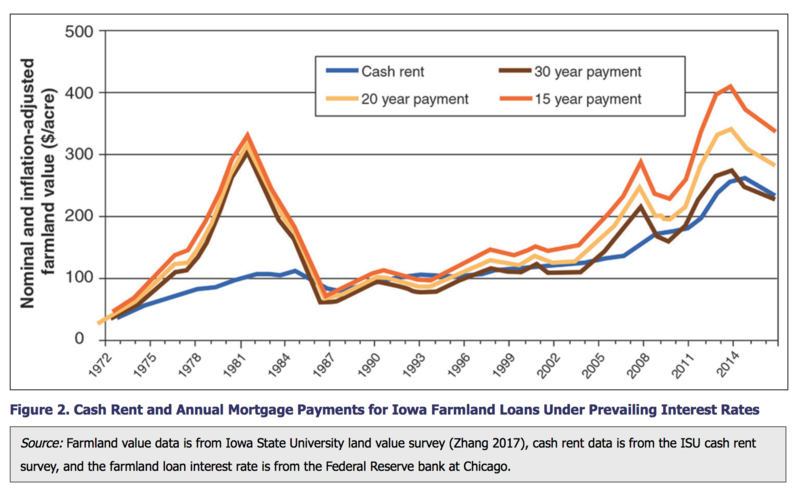 Secondly, Dr. Zhang pointed to “historically low interest rates,” in support of his proposition. 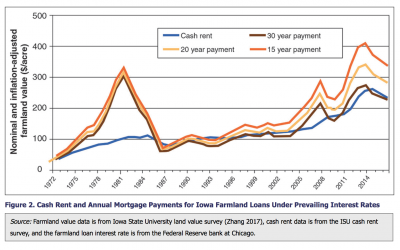 Dr. Zhang explained that, “[I]nterest rates are still very low compared to the 1980s, and the Federal Reserve is likely to raise the interest rate at a slow pace as opposed to a sudden hike, which makes loan restructuring possible for producers wanting to take advantage of current favorable interest rates.” (“Four Reasons Why We Aren’t Likely to See a Replay of the 1980’s Farm Crisis,” by Wendong Zhang (Agricultural Policy Review, Spring 2017)). 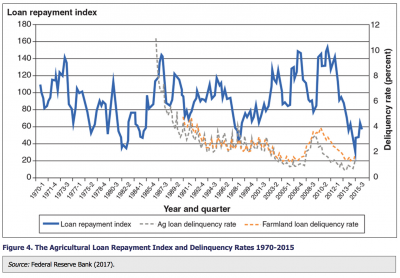 “More prudent agricultural lending in part driven by more stringent regulations,” is the third reason cited as a key difference from the environment of the 80’s. 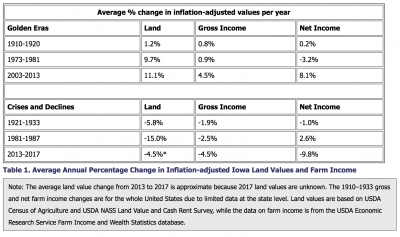 After the 1980s farm crisis, the regulations on agricultural lending limits got tighter, and agricultural banks reverted to a 65 percent loan-to-value ratio, which became an even more stringent 50 percent loan-to-value ratio after the 2007–2008 financial crisis. 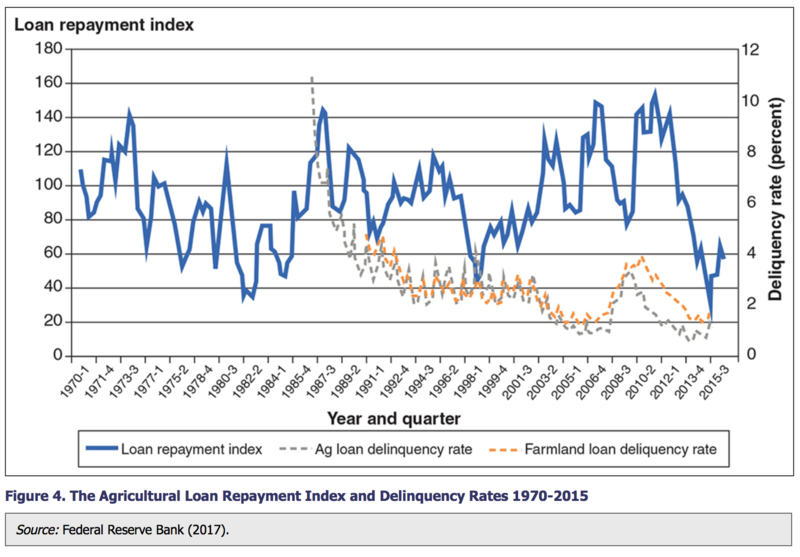 “Figure 4 shows agricultural loan delinquency rates since 1970. 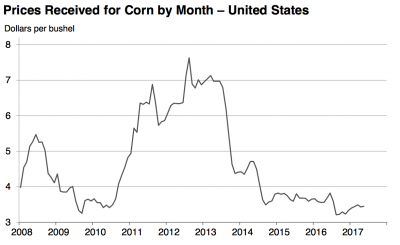 Although the current rate is rising, it is still well below the 1980s farm crisis level.” (“Four Reasons Why We Aren’t Likely to See a Replay of the 1980’s Farm Crisis,” by Wendong Zhang (Agricultural Policy Review, Spring 2017)). 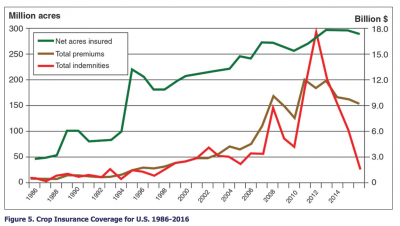 Lastly, the Ag Policy Review article indicated that a “stronger government safety net,” and in particular crop insurance participation, is a variable that is significantly different than the 1980’s. 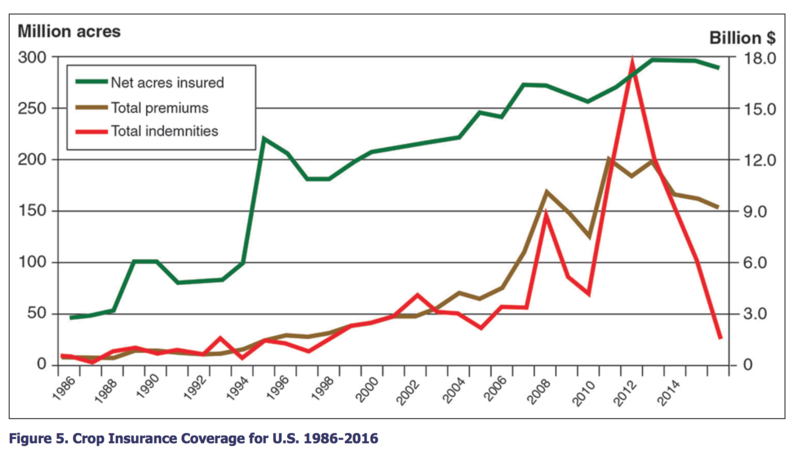 Dr. Zhang noted that, “The 1980s farm crisis represents the failure of the government’s safety test in the ‘stress test,’ however, agricultural producers and the farm sector in general now have a much stronger safety net compared to the 1980s.” (“Four Reasons Why We Aren’t Likely to See a Replay of the 1980’s Farm Crisis,” by Wendong Zhang (Agricultural Policy Review, Spring 2017)).